Project Liberty in Emmetsburg (the combination of POET Advanced Biofuels and DSM, an enzyme-engineering firm from the Netherlands) has successfully computed the equation for breaking down cellulosic materials to produce ethanol. 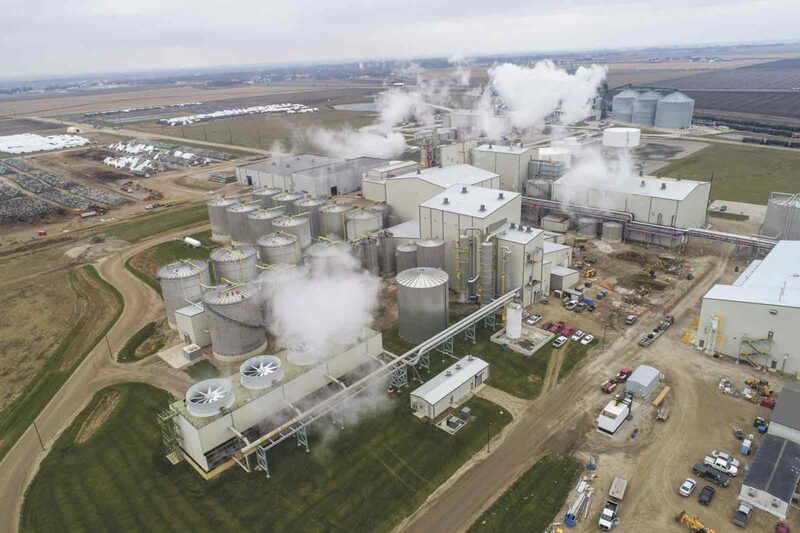 Project Liberty in Emmetsburg produces 25 million gallons of ethanol annually. The station serves as, more or less, an experimental area, whereby they figure out how to most efficiently create ethanol out of cellulosic materials. It is the only production plant of its kind in the world. Officials there are now in the thinking stages of licensing this kind of technology globally. POET-DSM Advanced Biofuels in Emmetsburg scored big in 2017, as it mastered a breakthrough for pre-treatment of cellulosic materials. EMMETSBURG — One might say it’s a giant science experiment. Whether it is or not, there’s no question that it is turning heads in the global bio-fuels industry. 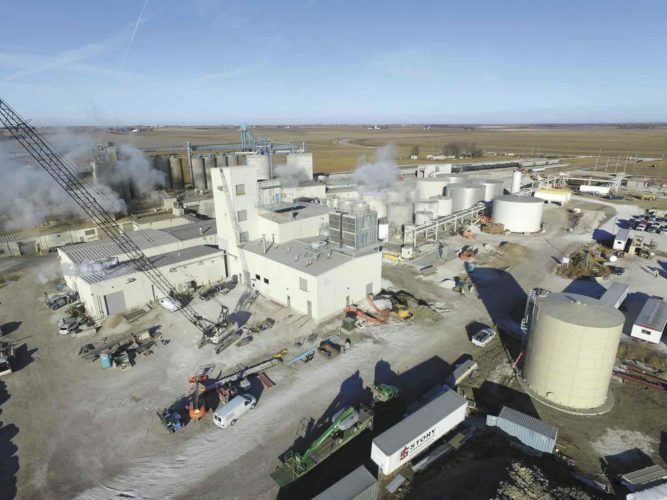 Since ground was broken in 2012, POET-DSM Advanced Biofuels in Emmetsburg has worked continuously to improve the way they manufacture cellulosic biofuel, and 2017 brought them a couple of big improvements. 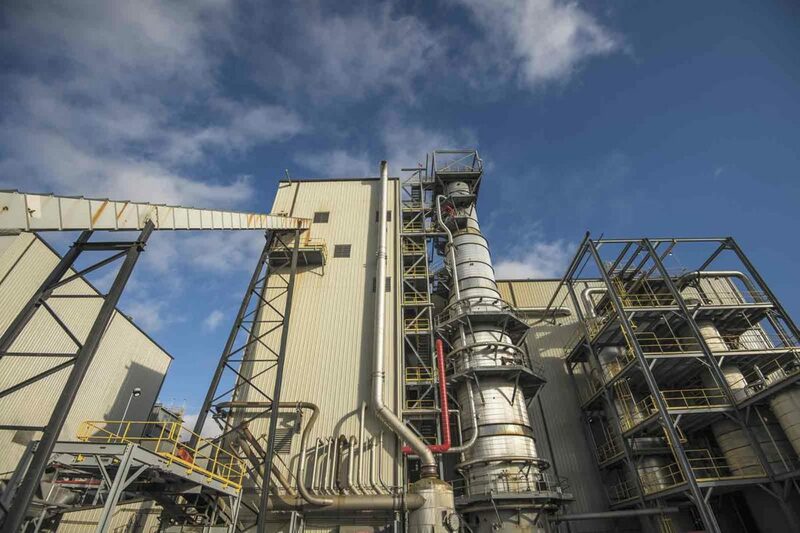 Matt Merritt, director of public relations for the company, said 2017 paved a way for solving the challenges they faced in pretreatment of feedstocks, as well as an announcement for plans to build an on-site enzyme manufacturing facility. The company also saw increased biomass purchasing in anticipation of increased production levels for this year. “We’re very excited about the progress we’ve made here at our plant, and about the outlook for this industry as a whole,” said Merritt. POET Advanced Biofuels has been known for the last 25 years as a pioneer in American renewable fuel, boasting 27 grain ethanol plants. Royal DSM, a Netherlands-based, science-based company active in health, nutrition and materials, has been a driver of environmental progress and technological advancement for the past 30 years. It is known for scaling up industrial and biotechnological operations and is a leader in conversion technologies, using yeast and enzyme to convert cellulosic biomass into ethanol. The two companies are working together at POET-DSM Advanced Biofuels. 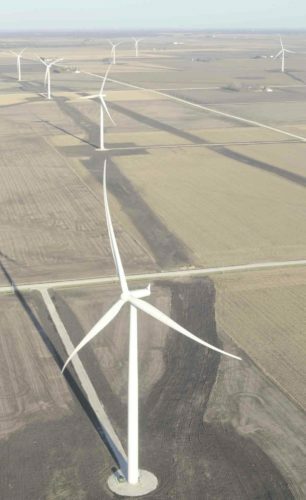 The Emmetsburg project — the only existing cellulosic manufacturing plant of its kind — is called Project Liberty. Project Liberty produces cellulosic bio-ethanol from corn crop residue (corn stover). Its mission is to make cellulosic bio-ethanol competitive with grain ethanol, the most competitive renewable liquid transportation fuel on the market today. Solving the challenge of the way they pretreat feedstocks has resulted in a manufacturing process that runs much more efficiently, according to Merritt. He added the challenge in commercializing this technology lay in the pre-treatment stage. With the latest technology, biomass is conditioned and turned into a mud-type consistency, making the cellulosic sugars more easily accessible by enzymes and yeast used to help in fermentation. The pre-treatment system has been rebuilt, and 2017 brought them successful results. Project Liberty has announced construction of an on-site enzyme manufacturing facility to directly pipe DSM enzymes into the process, according to Merritt. POET-DSM has an integrated process in which yeast and enzymes are used together with the feedstock. He went on to say Project Liberty has ramped up biomass purchasing in anticipation of increased production levels in 2018. They want to keep the harvesting process going steadily because once the plant is up to full capacity, Merritt said they will need consistent biomass coming in. 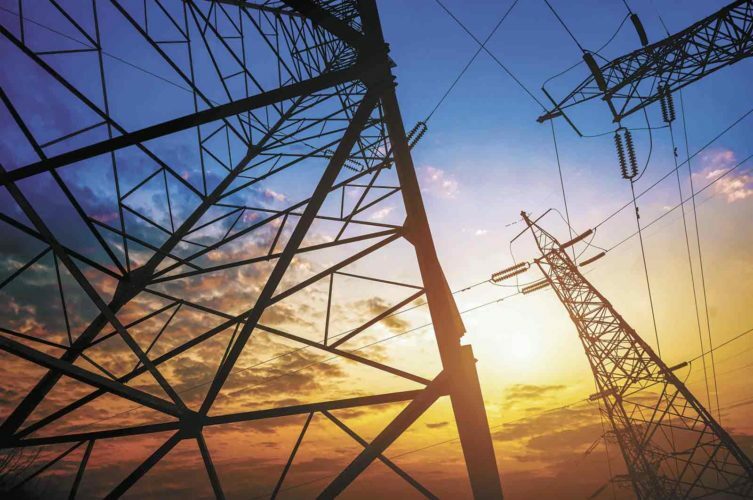 Merritt added they are not purchasing as many bales this year while they continue to perfect the process, but at full running capacity, Project Liberty will use 770 tons of biomass each day — or one bale per minute — using 280,000 tons of biomass per year. He further went on to say the company first considered using only corn cobs (and not the whole stalk, leaves, husks, etc.) because the cob is the most valuable product to convert into biofuel. 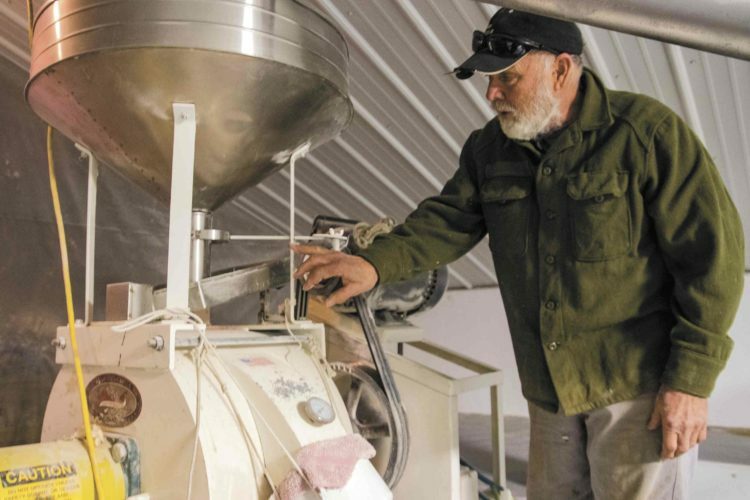 “(Using cobs) worked out well for us because that’s the product the farmer cares about the least, because they don’t get nutrient replacement out of them,” Merritt said, adding that getting farmers to commit to contributing corn cobs never fully took off because it produced transportation and storage issues, and would have required special equipment for harvesting corn cobs, which did not excite farmers. He said the use of corn stover was a better option for producers because many of them already had balers, and the bales could be stacked and hauled easily. 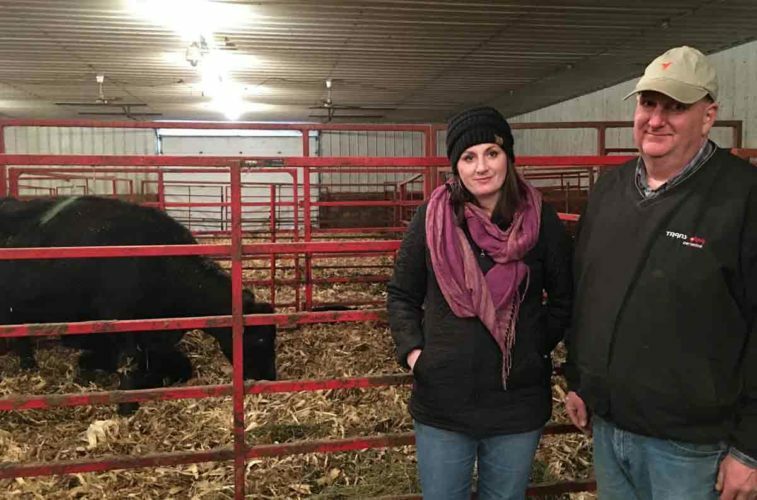 The company prefers bales with three times more cob content and half as much corn stalk, and Merritt added they they take 20-25 percent of above-ground stover. 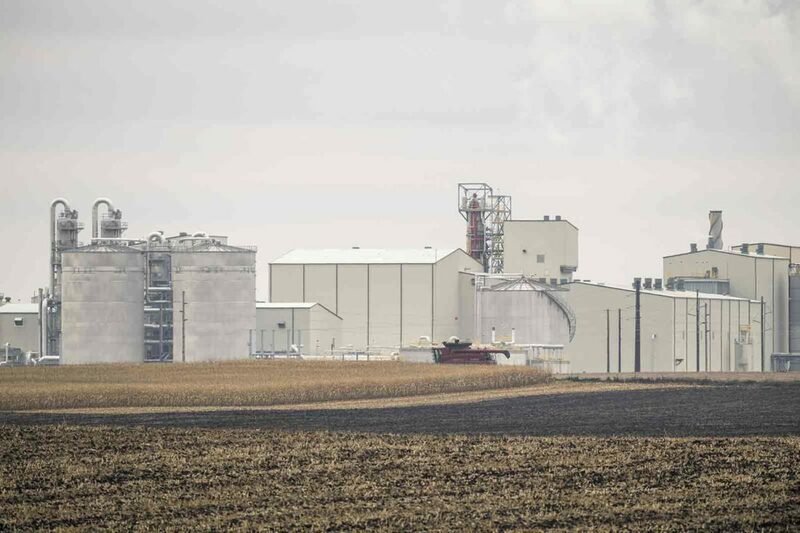 “We take that figure pretty seriously because we want this to be sustainable long-term, not only for the environment, but so this facility can continue to run,” Merritt said, adding farmers looking out for the future of their industry might want to contact lawmakers to encourage them to keep the biofuels industry as a top priority. Project Liberty purchases $20 million of biomass annually from within a 30-mile radius of the plant. 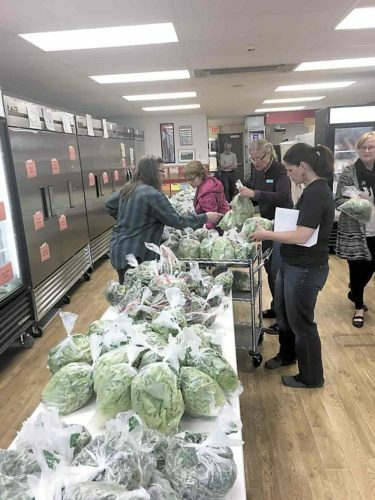 That money, according to Merritt, goes back into the community, supporting new businesses and industries, creating new jobs and putting dollars into the tax rolls and into the local school district. He added biofuels also create opportunities for people to get into farm work, because Project Liberty — and other plants that could be created because of this pioneer plant in Emmetsburg — will always need bales for cellulosic production. POET-DSM Advanced Biofuels is going to spend some time now looking at perfecting the downstream processes, and are closely monitoring policy regulations for E-15, according to Merritt. Merritt added they are also going to spend time looking at licensing their new cellulosic technology and talking to other customers nationally and internationally about utilizing it. For now, they continue perfecting the process.